The twenty-third class of Mansfield Fellows began their placements with Japanese agencies this month. 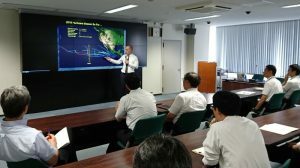 As part of his placement with the Japan Meteorological Agency (JMA) Office of Weather Disaster Mitigation, Mansfield Fellow Ian Morrison (Meteorologist, National Oceanic and Atmospheric Administration) gave a presentation last Monday on American disaster preparedness. Mr. Morrison introduced JMA staff to the National Weather Service (NWS) Weather Ready Nation, NWS Pacific Region, NWS Honolulu Forecast Office, and the Incident Meteorologist Program. A JMA employee asked why he was interested in Japan’s disaster risk management strategies, responding “Japan has the most natural disasters in the world and are on the leading edge of disaster risk reduction techniques. The United States can learn a lot from Japan’s success in the field.” Tomorrow, he will deliver a report on the differences between Japan and U.S. media and how they report on natural disasters. You can read more about Ian Morrison and the other members of the current class of Mansfield Fellows here. This entry was posted in Fellowship Experiences and tagged Japan Meteorological Agency, MFP No. 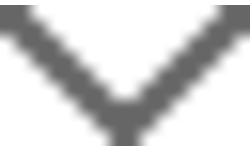 23, National Oceanic and Atmospheric Administration, U.S. Department of Commerce. Bookmark the permalink.